The BCA code ( Building and Construction Authority Singapore ) specifies standards for mandatory implementing the emergency call bell system in all the handicap toilets. 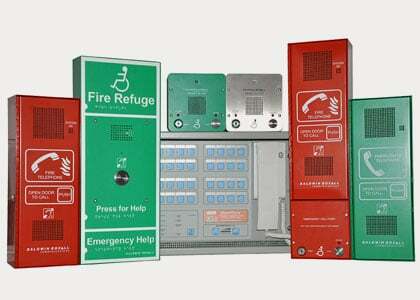 DNA has been supplying and integrating analogue and digital emergency call button systems for handicap toilets and PWD areas in any commercial , residential, government , education and related areas. Disabled people should be able to find, and use, suitable toilet accommodation no less easily than non-disabled people. 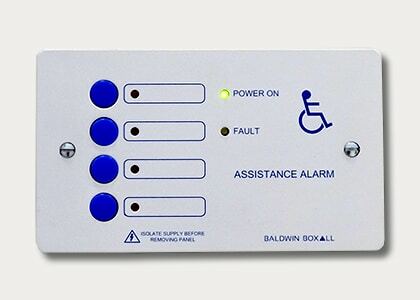 All disabled toilet cubicles should be fitted a with suitable ‘call for assistance’ alarm system. The waterproof disabled toilet alarm products also enable mounting of pull cords and reset buttons within wet rooms and shower cubicles. The alarm system must not be confused (visually or audibly) with a building’s fire alarm. The alarm pull cord needs to be sited within easy reach and operable from two levels – one being near the floor in case of a fall. The cord needs to be freely available and not tied or wrapped around any fixed object. More information regarding the positioning of toilet alarms and requirements can be found in the British Standard (BS8300) or in brief in our summary document. All our toilet alarm kits are available with a choice of white or stainless steel finish (except the waterproof disabled toilet alarm system). 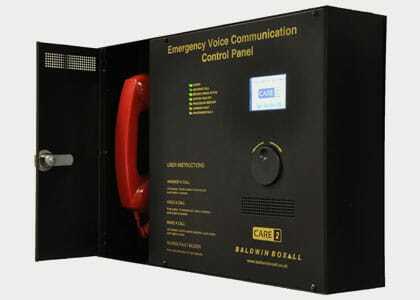 A three-part toilet alarm kit for our CARE2 emergency voice communication system (EVC) system. Connects to our stand-alone disabled toilet alarm kit via a repeater unit. A 4-way alarm control panel which connects to our toilet alarm kits.